As fall aproaches, I like to pull out this recipe from my 2006 CT Post column for caramel apple cakes. I like making the small batch recipe but you can always double it for a bake sale. It’s that time of year again when you’re shuttling a bunch of kids around to all of those non-stop after school activities. In my day, that meant Mom would pick up a car pool of kids, pile them in the back of our station wagon then pick up two-dozen hot glazed donuts from Lucy Lynn Bakery and deliver her cargo to the Girl Scout meeting. These days, many schools are encouraging parents to steer clear of greasy, hydrogenated junk food as in-school treats, favoring fresh fruits, yogurt and healthy snacks. I applaud these efforts. However, when 3:00 PM hits so does hunger and sometimes a box of trail mix just won’t do the trick. When the natives are restless you want to keep them happy! You could drive them through MacDonalds or your could consider the retro concept of home made cupcakes. You control the ingredients and your kids learn to bake something new. In September, I look to the classic apple theme for inspiration. 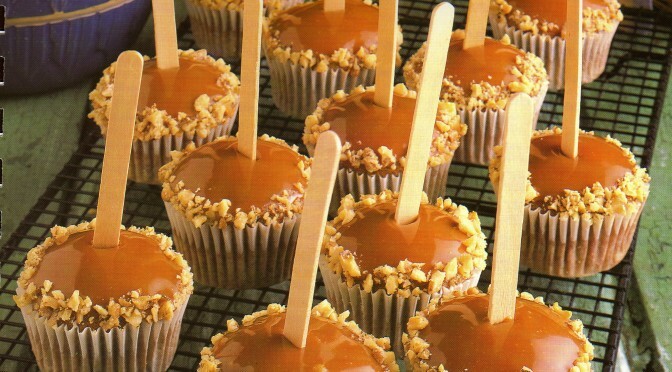 What could be a better back to school tradition than caramel apples on a stick? (The cinnamon candy kind always got stuck on everyone’s braces.) 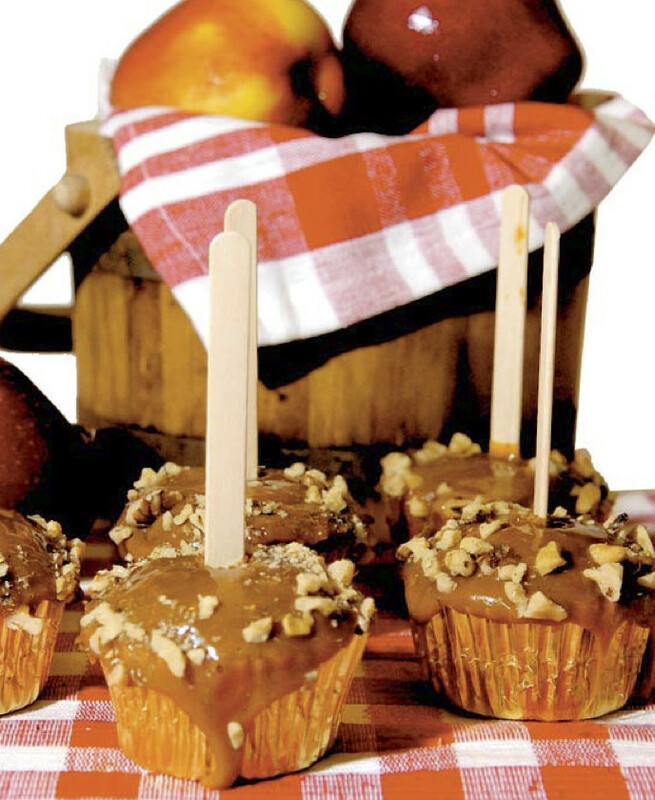 These easy to mix cupcakes are topped with melted caramels, garnished with chopped walnuts and have sticks in the center, just like old fashioned caramel apples. Preheat oven to 350 degrees. Combine flour, brown sugar, cinnamon, allspice, baking soda and salt in mixing bowl. In separate bowl blend together applesauce, sour cream, oil, lemon juice, egg and vanilla. Mix into dry ingredients. Pour batter into paper lined muffin tins and bake 20 to 25 minutes. Cool on wire rack. Melt caramels milk in a double boiler, stirring until smooth (start . Spread caramel on the tops of cupcakes. Sprinkle chopped walnuts around the edge of cakes and insert a popsicle stick in the center of each. Note: you may have to bake a square 9” x 9” cake 30 to 35 minutes. With Labor Day rapidly approaching it’s time for summer’s last hurrah. 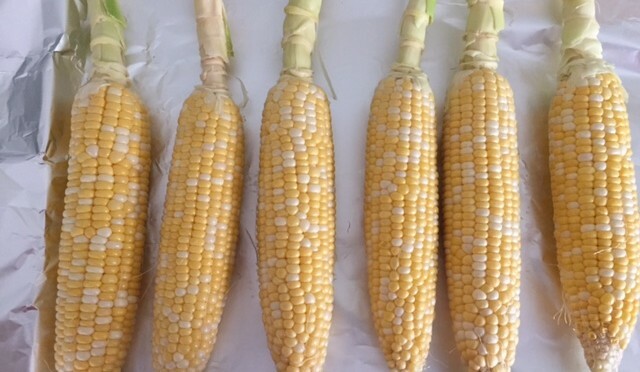 This year you wouldn’t know it with a 90°+ heatwave but that’s all the more reason to celebrate with warm weather favorites like corn on the cob. 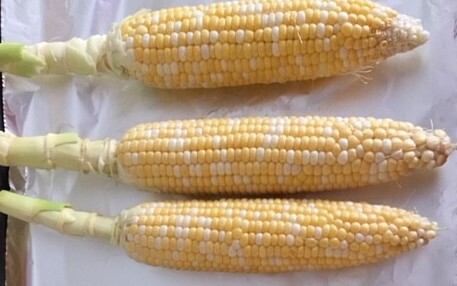 My favorite way to do this is to shuck the ears and leave the stems on giving your guests a handy handle. 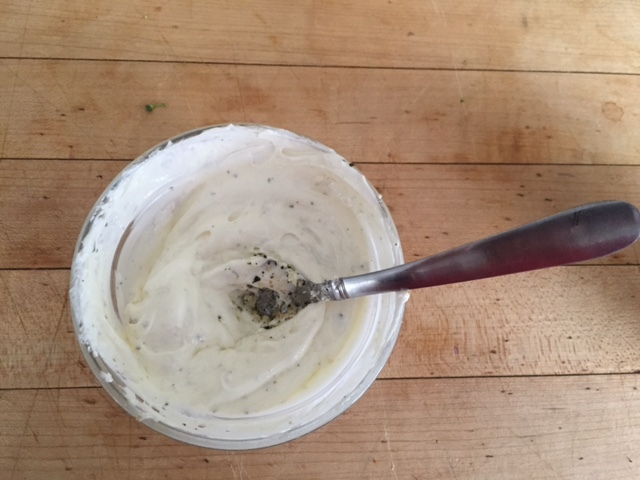 Next I cream together some softened, unsalted butter and add some seasoned salt and herb mixture. (Here I’ve used Bousari, but you can come up with your on combination of herbs and spices using whatever you have in your pantry). 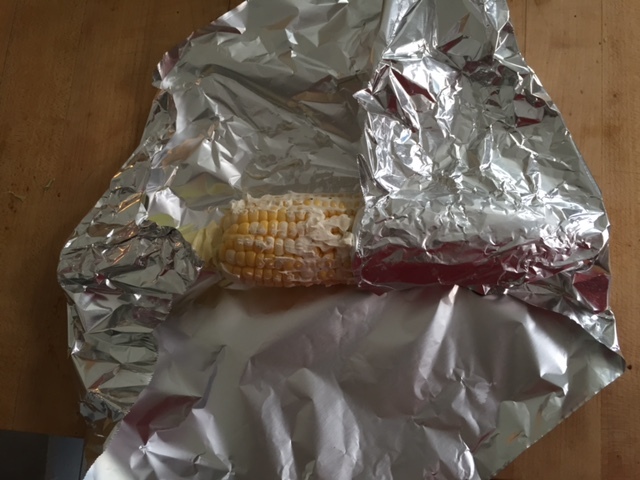 Wrap corn in squares of foil. Now you can just cook these on the grill for about 25-30 minutes. Too much meat taking up grill space? 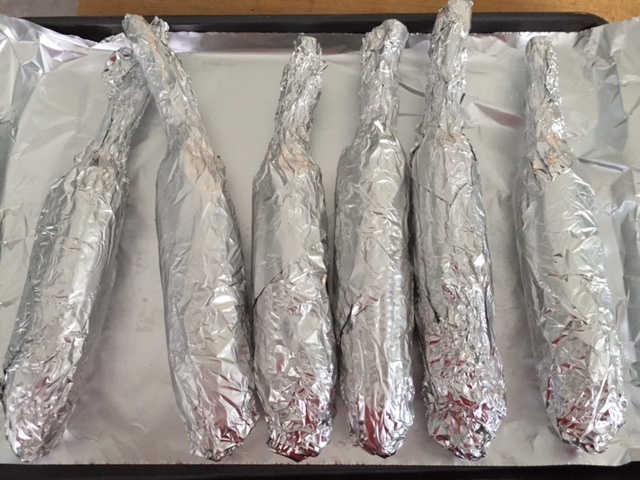 These work just as well baking in the oven at 375° for have an hour for the roasted corn effect. These are hot when they are ready so let rest a few minutes before serving.